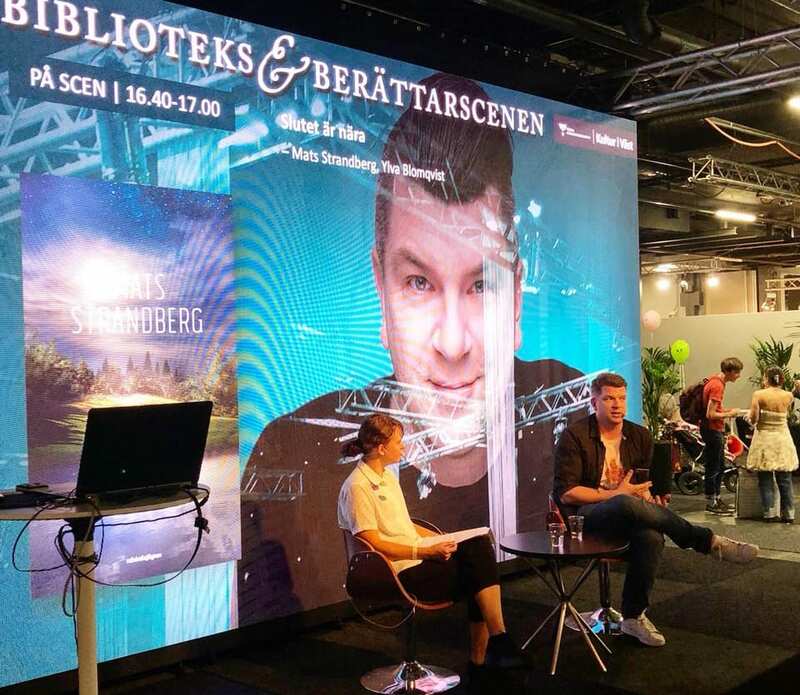 Last week one of the Gothenburg Book Fair’s biggest stars visiting was Mats Strandberg. He had an enormous number of events, signings, readings, discussions etc. And most of them on his upcoming YA title THE END. There is no question it is a smash hit right from the start. The formal publication is in mid October, with a pre-sale at the book fair. And it sure was successful at the top of sales. In addition, new international deals were made for THE END at the fair when a deal with Host publisher in Czech Republic was closed. Rights are now sold to five markets in addition to Sweden, and according to the intereste in Gothenburg and for the upcomoing Frankfurt Book Fair, the number will increase.